The traditional mask and snorkel have been around for a long time and I didn't think that its basic design would change very much. 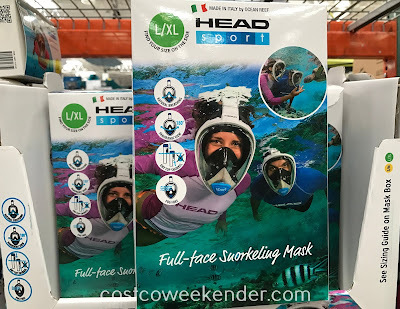 But the Head Full-Face Snorkeling Mask is truly a unique product in the snorkeling world. One of the biggest complaints I have with traditional equipment is that water can get into the snorkel from the top. And before you know it, you've got a mouthful of salt water. 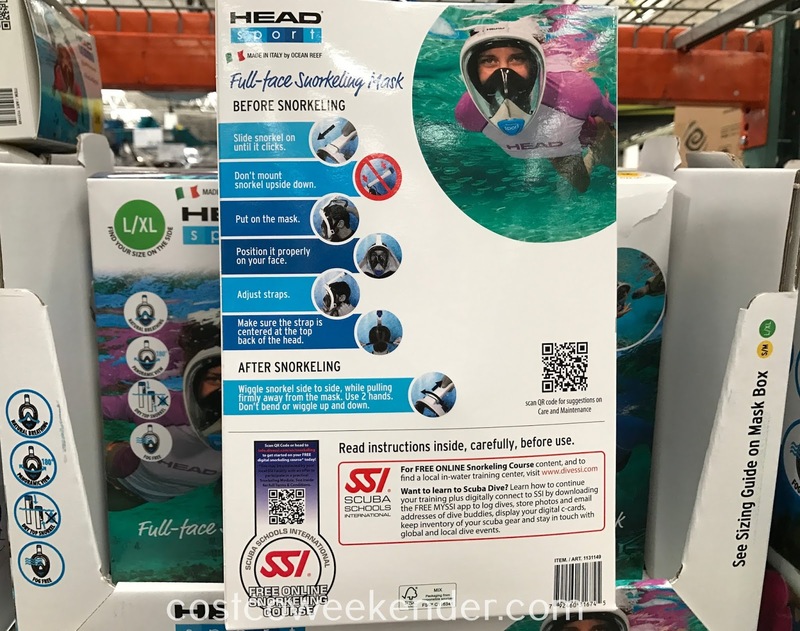 Breathing using your mouth via the snorkel is also not a natural thing to do. It's just one of those things you just accept when you get into snorkeling or scuba diving. But now with the Head Full-Face Snorkeling Mask, these 2 basic problems are essentially solved. With the Head Full-Face Snorkeling Mask, you can breathe from your nose when snorkeling on the surface. A mechanism built into the snorkel also prevents water from entering even when submerged. 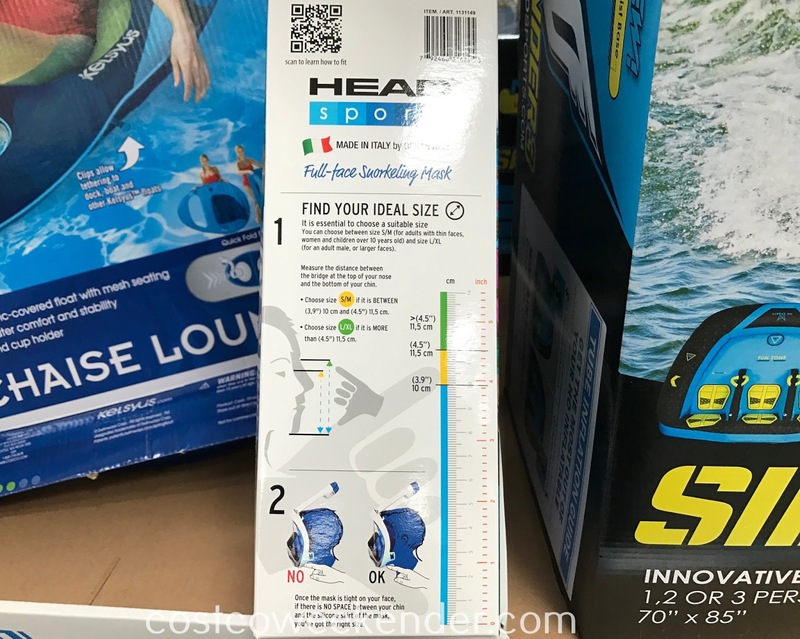 And as an added bonus, you get a better field of vision, allowing you to see all the beautiful wonders of the underwater world. So this summer, book your vacation to a tropical paradise but don't forget your Head Full-Face Snorkeling Mask. 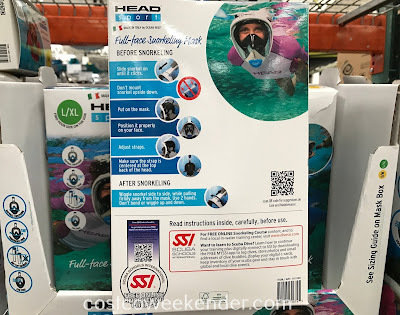 Breathing is natural with this full-face snorkeling mask and you don't wear an uncomfortable and unhygienic mouthpiece. You can breathe also from your nose when snorkeling on the surface! This full-face snorkeling mask's field of vision is very large, you get the best experience of the amazing underwater world. 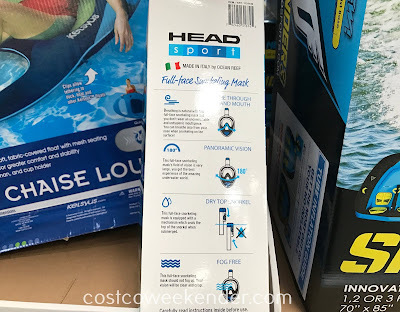 This full-face snorkeling mask is equipped with a mechanism which seals the top of the snorkel when submerged. 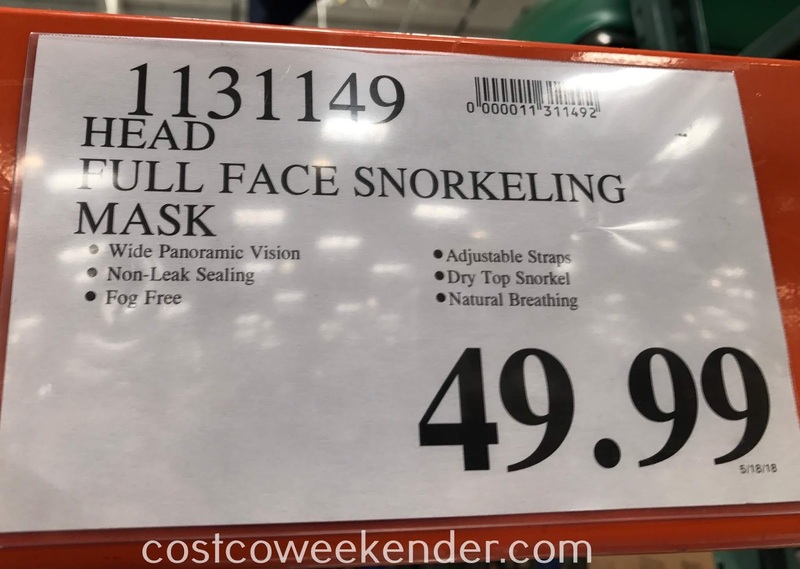 This full-face snorkeling mask should not fog up. Your vision will be clear and crisp.